Certainly, in the course of a career that has taken her to television and film – she made her television debut at the age of three and a half on Juvenile Jury – Peters was earning star billing on Broadway before she had turned twenty as sister Josie to Joey Grey’s brother George M. Cohan in the musical George M!. The role earned her the first of her many Broadway awards, the 1968 Theatre World Award. After starring in Lionel Bart’s ill-fated musical adaptation of the film, La Strada, Peters earned a Tony® nomination for her portrayal of Hildy Esterhazy in the 1971 revival of On the Town, which was the first Broadway production of the celebrated show since it had opened in 1944. 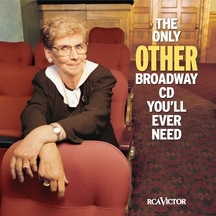 Peters’s next Broadway appearance was opposite Robert Preston in Jerry Herman’s Mack & Mabel, for which she earned her second Tony® nomination. 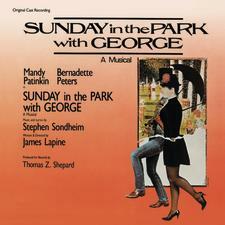 Bernadette Peters returned to Broadway after some years doing film and television to work on her first Stephen Sondheim show in 1984 playing the dual roles of Dot and Marie in Sunday in the Park with George, a performance that earned Peters her third Tony® nomination. 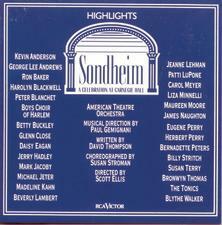 Peters won her first Tony Award® for Best Actress in a Musical in 1986 for her portrayal of Emma in Andrew Lloyd Webber and Don Black’s Song and Dance. In 1987 she originated the role of the Witch in Stephen Sondheim’s Into the Woods, the musical retelling of classic fairytales he created with James Lapine. Peters earned a Drama Desk nomination for that performance. 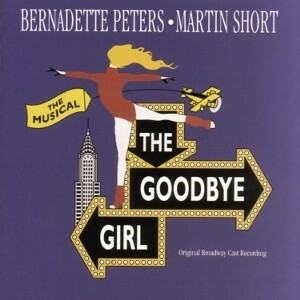 In 1993, Peters got her fourth Tony® nod for her role as Paula in the Marvin Hamlisch/David Zippel musical adaptation of Neil Simon’s The Goodbye Girl. In recent years on Broadway, Peters has been taking on roles created for the great Ethel Merman and making them her own. 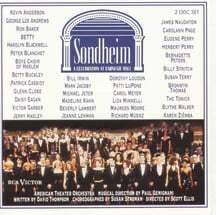 In 1999, she played Annie Oakley in Irving Berlin’s Annie Get Your Gun and earned her second Tony Award®. More recently, she played the role of Rose, first performed by Merman, in the acclaimed 2003 revival of Gypsy. Her performance earned her yet another Tony® nomination, as well as a Drama Desk Award nomination for Outstanding Actress in a Musical.